The Mars 2020 mission is on track for launch next year, and nesting inside the high-tech new rover heading that direction is a high-tech helicopter designed to fly in the planet’s nearly non-existent atmosphere. The actual aircraft that will fly on the Martian surface just took its first flight and its engineers are over the moon. “The next time we fly, we fly on Mars,” said MiMi Aung, who manages the project at JPL, in a news release. An engineering model that was very close to final has over an hour of time in the air, but these two brief test flights were the first and last time the tiny craft will take flight until it does so on the distant planet (not counting its “flight” during launch). 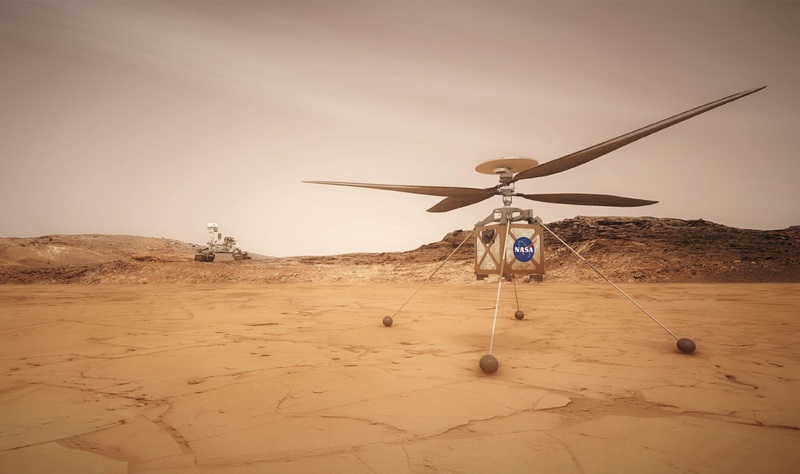 A helicopter flying on Mars is much like a helicopter flying on Earth, except of course for the slight differences that the other planet has a third less gravity and 99 percent less air. It’s more like flying at 100,000 feet, Aung suggested. The test rig they set up not only produces a near-vacuum, replacing the air with a thin, Mars-esque CO2 mix, but a “gravity offload” system simulates lower gravity by giving the helicopter a slight lift via a cable. 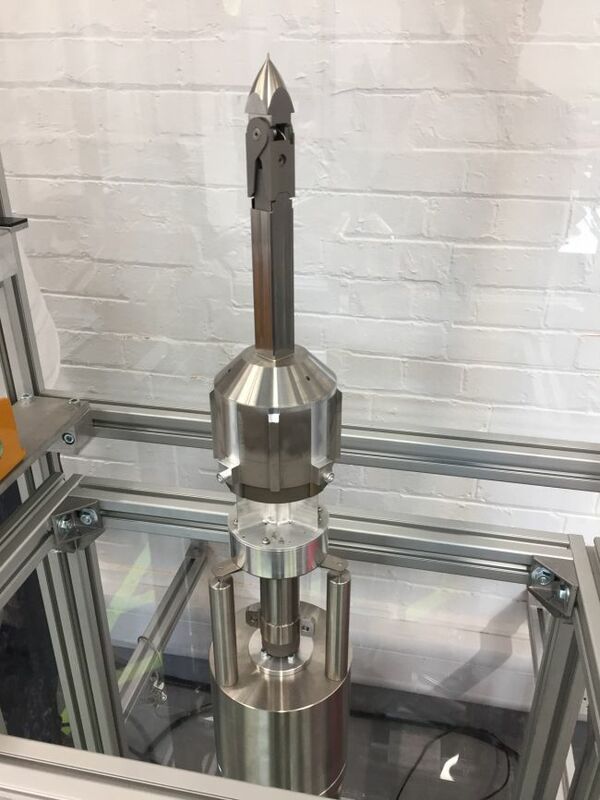 It flew at a whopping two inches of altitude for a total of a minute in two tests, which was enough to show the team that the craft (with all its 1,500 parts and four pounds) was ready to package up and send to the Red Planet. A few months after the Mars 2020 rover has landed, the helicopter will detach and do a few test flights of up to 90 seconds. Those will be the first heavier-than-air flights on another planet — powered flight, in other words, rather than, say, a balloon filled with gaseous hydrogen. The craft will operate mostly autonomously, since the half-hour round trip for commands would be far too long for an Earth-based pilot to operate it. 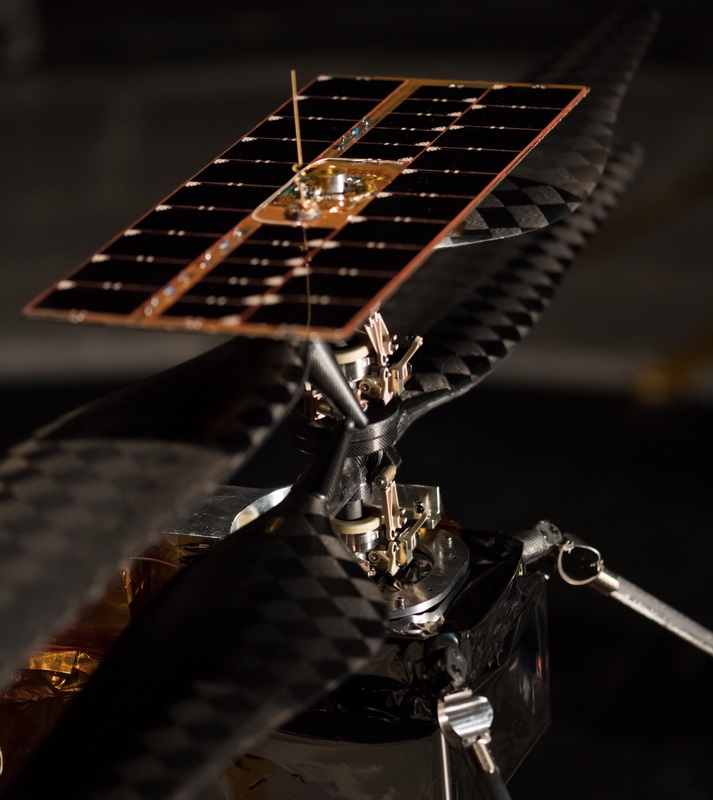 It has its own solar cells and batteries, plus little landing feet, and will attempt flights of increasing distance from the rover over a 30-day period. It should go about three meters in the air and may eventually get hundreds of meters away from its partner. Mars 2020 is estimated to be ready to launch next summer, arriving at its destination early in 2021. Of course, in the meantime, we’ve still got Curiosity and Insight up there, so if you want the latest from Mars, you’ve got plenty of options to choose from. The Opportunity Mars Rover may be officially offline for good, but its legacy of science and imagery is ongoing — and NASA just shared the last (nearly) complete panorama the robot sent back before it was blanketed in dust. After more than 5,000 days (or rather sols) on the Martian surface, Opportunity found itself in Endeavour Crater, specifically in Perseverance Valley on the western rim. For the last month of its active life, it systematically imaged its surroundings to create another of its many impressive panoramas. Using the Pancam, which shoots sequentially through blue, green and deep red (near-infrared) filters, it snapped 354 images of the area, capturing a broad variety of terrain as well as bits of itself and its tracks into the valley. You can click the image below for the full annotated version. It’s as perfect and diverse an example of the Martian landscape as one could hope for, and the false-color image (the flatter true-color version is here) has a special otherworldly beauty to it, which is only added to by the poignancy of this being the rover’s last shot. In fact, it didn’t even finish — a monochrome region in the lower left shows where it needed to add color next. This isn’t technically the last image the rover sent, though. As the fatal dust storm closed in, Opportunity sent one last thumbnail for an image that never went out: its last glimpse of the sun. All the sparkles and dots are just noise from the image sensor. 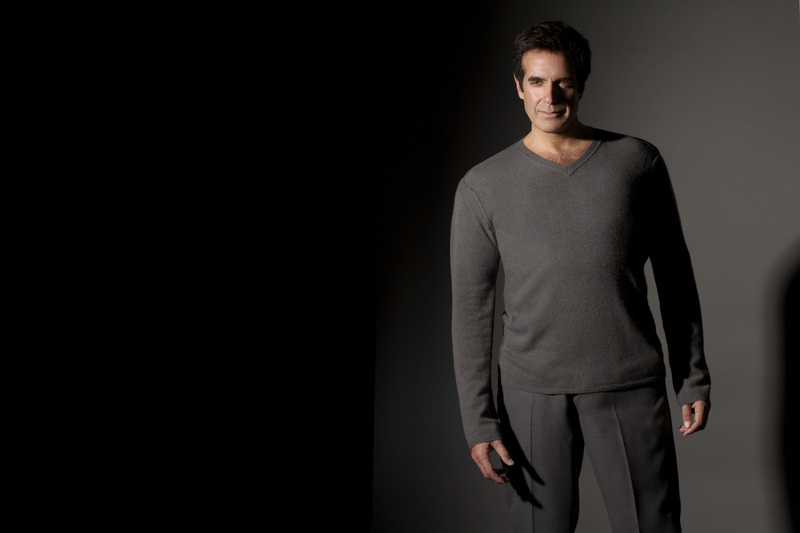 It would have been complete dark — and for weeks on end, considering the planetary scale of the storm. 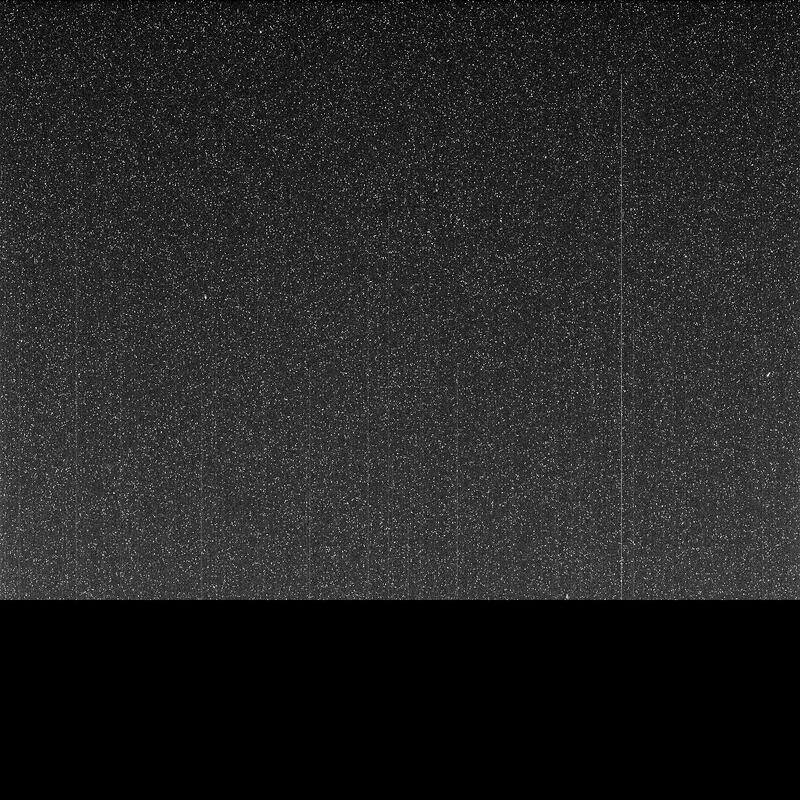 Opportunity had a hell of a good run, lasting and traveling many times what it was expected to and exceeding even the wildest hopes of the team. That right up until its final day it was capturing beautiful and valuable data is testament to the robustness and care with which it was engineered. SpaceX’s Crew Dragon capsule has safely splashed down in the Atlantic, making it the first privately built crew-capable spacecraft ever to complete a mission to the International Space Station. It’s one of several firsts SpaceX plans this year, but Boeing is hot on its heels with a crew demonstrator of its own — and of course the real test is doing the same thing with astronauts aboard. 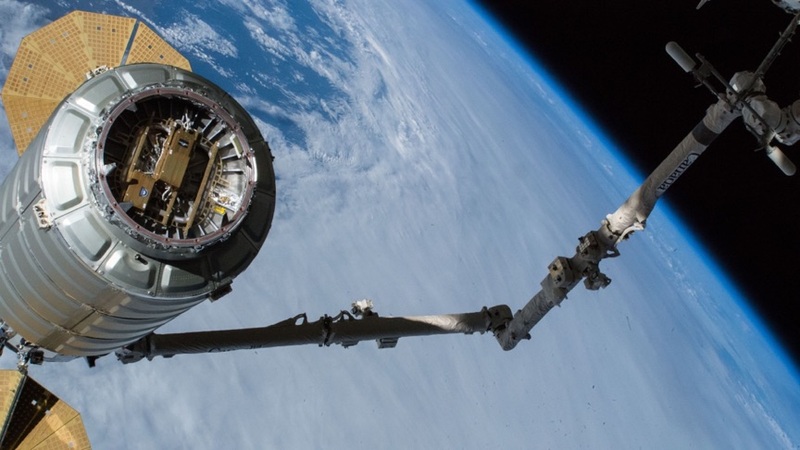 This mission, Demo-1, had SpaceX showing that its Crew Dragon capsule, an evolution of the cargo-bearing Dragon that has made numerous ISS deliveries, was complete and ready to take on its eponymous crew. It took off early in the morning of March 2 (still March 1 on the West coast), circled the Earth 18 times, and eventually came to a stop (relatively speaking, of course) adjacent to the ISS, after which it approached and docked with the new International Docking Adapter. The 400 pounds of supplies were emptied, but the “anthropomorphic test device” known as Ripley — basically a space crash test dummy — stayed in her seat on board. Five days later — very early this morning — the craft disengaged from the ISS and began the process of deorbiting. It landed on schedule at about 8:45 in the morning Eastern time. It’s a huge validation of NASA’s Commercial Crew Program, and of course a triumph for SpaceX, which not only made and launched a functioning crew spacecraft, but did so before its rival Boeing. That said, it isn’t winner take all — the two spacecraft could very well exist in healthy competition as crewed missions to space become more and more common. Expect to see a report on the mission soon after SpaceX and NASA have had time to debrief and examine the craft (and Ripley). After years of development and delays, SpaceX’s Crew Dragon is ready to launch into orbit. It’s the first commercially built and operated crewed spacecraft ever to do so, and represents in many ways the public-private partnership that could define the future of spaceflight. 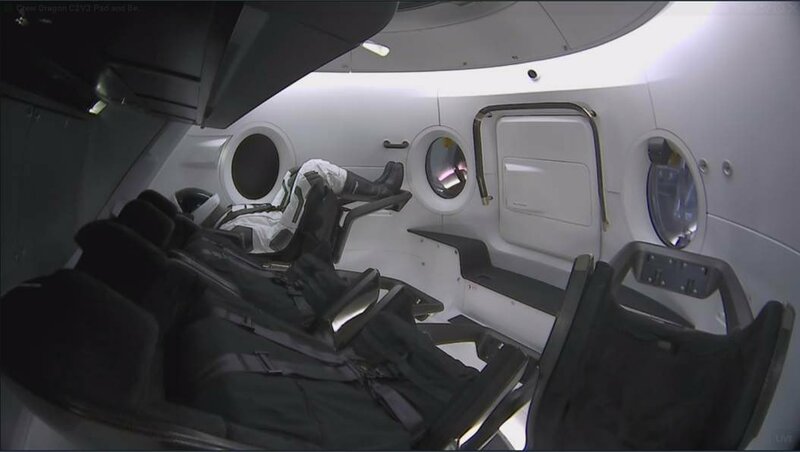 The capsule has been the work of many years and billions of dollars: an adaptation of the company’s Dragon capsule, but with much of its cargo space converted to a spacious crew compartment. It can seat seven if necessary, but given the actual needs of the International Space Station, it is more likely to carry two or three people and a load of supplies. Of course it had to meet extremely stringent safety requirements, with an emergency escape system, redundant thrusters and parachutes, newly designed spacesuits, more intuitive and modern control methods and so on. It’s a huge technological jump over the Russian Soyuz capsule that has been the only method to get humans to space for the last eight years, since the Shuttle program was grounded for good. But one thing Dragon doesn’t have is the Soyuz’s exemplary flight record. The latter may look like an aircraft cockpit shrunk down to induce claustrophobia, but it has proven itself over and over for decades. The shock produced by a recent aborted launch and the quickness with which the Soyuz resumed service are testament to the confidence it has engendered in its users. But for a number of reasons the U.S. can’t stay beholden to Russia for access to space, and at any rate the commercial spaceflight companies were going to send people up there anyway. So NASA dedicated a major portion of its budget to funding a new crew capsule, pitting SpaceX and Boeing against one another. SpaceX has had the best of Boeing for the most part, progressing through numerous tests and milestones, not exactly quickly, but with fewer delays than its competitor. Test flights originally scheduled for 2016 are only just now beginning to take place. Boeing’s Starliner doesn’t have a launch date yet, but it’s expected to be this summer. Tonight’s test (“Demo-1”) is the first time the Crew Dragon will fly to space; suborbital flights and landing tests have already taken place, but this is a dry run of the real thing. Well, not completely dry: the capsule is carrying 400 pounds of supplies to the station and will return with some science experiments on board. After launch, it should take about 11 minutes for the capsule to detach from the first and second stages of the Falcon 9 rocket. It docks about 27 hours later, early Sunday morning, and the crew will be able to get at the goodies just in time for brunch, if for some reason they’re operating on East Coast time. Update: Launch and deployment successful! After four years and more than $2 billion in funding, OneWeb is ready to launch the first six satellites out of a planned constellation of 650 with which it plans to blanket the world in broadband. 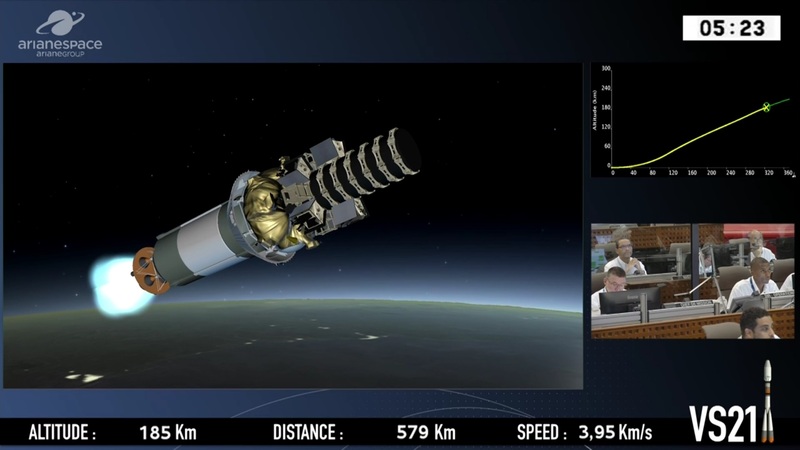 The Arianespace-operated Soyuz rocket will take off at 1:37 Pacific time from Guiana Space Center. You can watch it live at OneWeb’s site here. 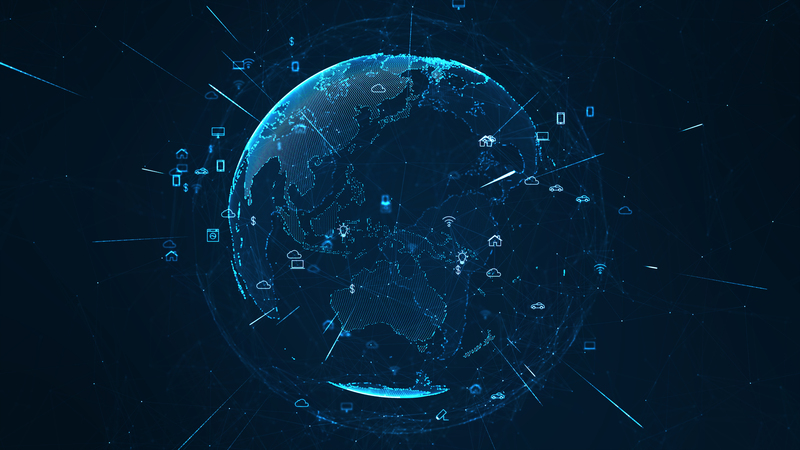 OneWeb is one of several companies that aims to connect the world with a few hundred or thousand satellites, and certainly the most well-funded — SoftBank is the biggest investor, but Virgin Group, Coca-Cola, Bharti Group, Qualcomm and Airbus have all chipped in. The company’s plan is to launch a total of 900 (650 at first) satellites to about a 1,100-kilometer low Earth orbit, from which it says it will be able to provide broadband to practically anywhere on Earth — anywhere you can put a base station, anyway. Much cheaper and better than existing satellite connectivity, which is expensive and slow. Sound familiar? Of course, SpaceX’s side project, Starlink, has similar ambitions, with an even greater number of satellites planned, and Swarm is aiming for a smaller constellation of smaller satellites for low-cost access. And Ubiquitilink just announced this week that its unique technology will remove the need for base stations and beam satellite connections directly to ordinary phones. And they’ve all launched satellites already! 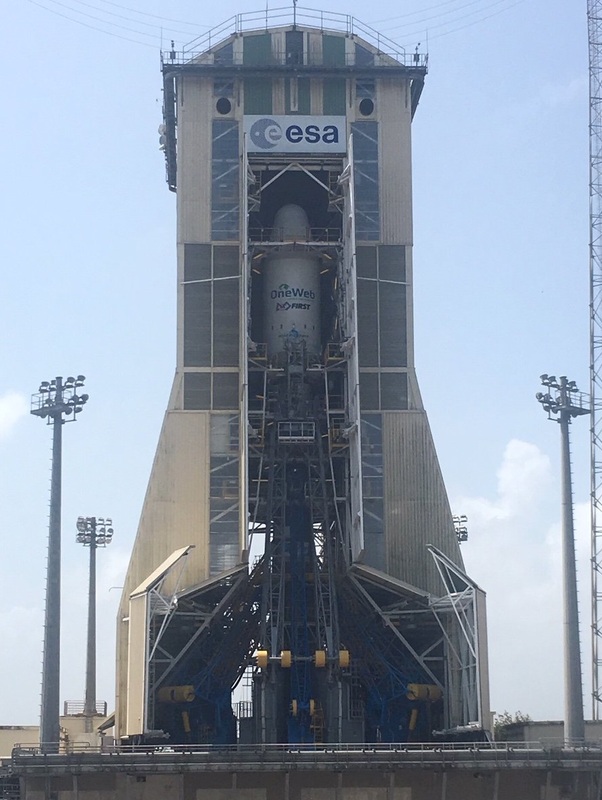 The launch vehicle fueling today at GSC. At a reported cost of about a million dollars per satellite — twice the projected cost in 2015 — just building and testing the constellation will likely rub up against a billion dollars, and that’s not counting launch costs. But no one ever said it would be cheap. In fact, they probably said it would be unbelievably expensive. That’s why SoftBank and the other investors are “committing to a lot more capital,” as CEO Adrián Steckel told the Financial times last month. The company also announced its first big deal with a telecom; Talia, which provides connectivity in Africa and the Middle East, signed on to use OneWeb’s services starting in 2021. Soyuz launches could carry more than 30 of these satellites each, meaning it would take at least 20 to put the whole constellation in orbit. This first launch, however, only has six aboard; the other spots on board the mass launch system have dummy payloads to simulate how it should be going forward. A OneWeb representative told me that this launch is meant to “verify the satellite design and validate the end to end system,” which is probably a good idea before sending up 600 more. 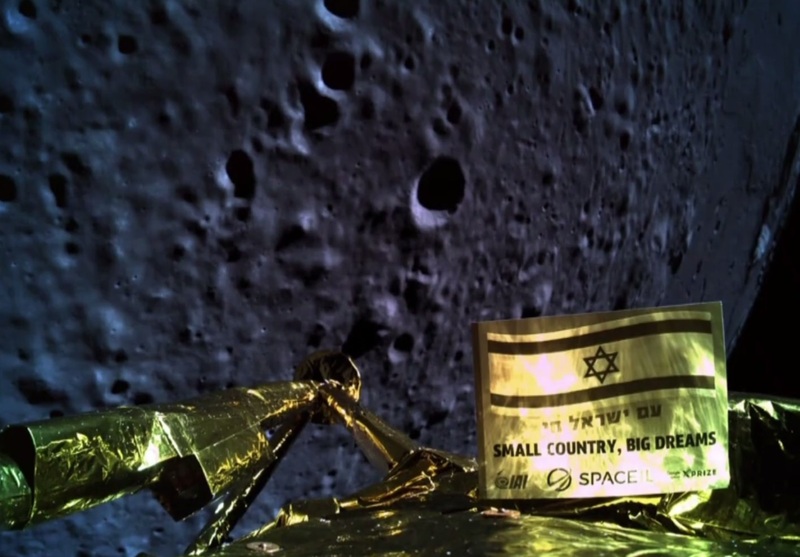 That means OneWeb will be testing and tracking these six birds for the next few months and making sure the connection with ground stations and other aspects of the whole system are functioning properly. Full payloads will start in the fall, after OneWeb opens its (much-delayed) production facility just outside Kennedy Space Center in Florida. You can watch the launch at OneWeb’s site here. Last month I wrote about Ubiquitilink, which promised, through undisclosed means, it was on the verge of providing a sort of global satellite-based roaming service. But how, I asked? (Wait, they told me.) Turns out our phones are capable of a lot more than we think: they can reach satellites acting as cell towers in orbit just fine, and the company just proved it. 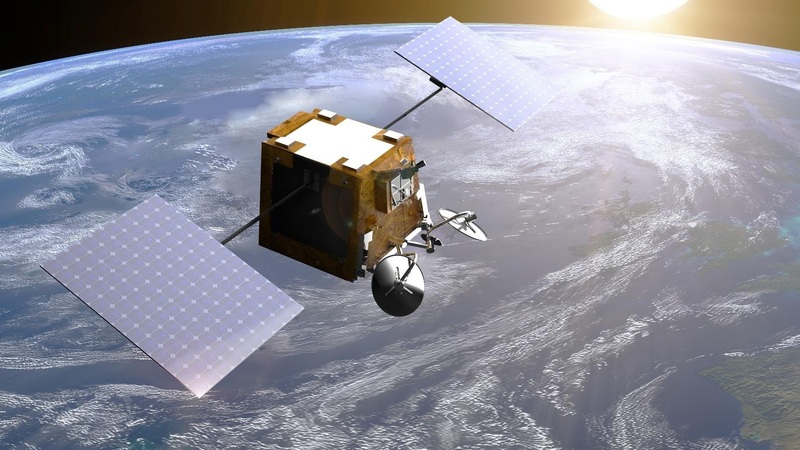 Utilizing a constellation of satellites in low Earth orbit, Ubiquitilink claimed during a briefing at Mobile World Congress in Barcelona that pretty much any phone from the last decade should be able to text and do other low-bandwidth tasks from anywhere, even in the middle of the ocean or deep in the Himalayas. Literally (though eventually) anywhere and any time. Surely not, I hear you saying. My phone, that can barely get a signal on some blocks of my neighborhood, or in that one corner of the living room, can’t possibly send and receive data from space… can it? The issue, he explained, isn’t really that the phone lacks power. The limits of reception and wireless networks are defined much more by architecture and geology than plain physics. When an RF transmitter, even a small one, has a clear shot straight up, it can travel very far indeed. It’s not quite as easy as that, however; there are changes that need to be made, just not anything complex or expensive like special satellite antennas or base stations. If you know that modifying the phone is a non-starter, you have to work with the hardware you’ve got. But everything else can be shaped accordingly, Miller said — three things in particular. Lower the orbit. There are limits to what’s practical as far as the distance involved and the complications it brings. The orbit needs to be under 500 kilometers, or about 310 miles. That’s definitely low — geosynchronous is 10 times higher — but it’s not crazy either. Some of SpaceX’s Starlink communications satellites are aiming for a similar orbit. Narrow the beam. The low orbit and other limitations mean that a given satellite can only cover a small area at a time. This isn’t just blasting out data like a GPS satellite, or communicating with a specialized ground system like a dish that can reorient itself. So on the ground you’ll be looking at a 45 degree arc, meaning you can use a satellite that’s within a 45-degree-wide cone above you. Lengthen the wavelength. Here simple physics come into play: generally, the shorter the wavelength, the less transparent the atmosphere is to it. So you want to use bands on the long (lower Hz) side of the radio spectrum to make sure you maximize propagation. Having adjusted for these things, an ordinary phone can contact and trade information with a satellite with its standard wireless chip and power budget. But there’s one more obstacle, one Ubiquitilink spent a great deal of time figuring out. Although a phone and satellite can reach one another reliably, a delay and Doppler shift in the signal due to the speeds and distances involved are inescapable. Turns out the software that runs towers and wireless chips isn’t suited for this; the timings built into the code assume the distance will be less than 30 km, since the curvature of the Earth generally prevents transmitting farther than that. So Ubiquitilink modified the standard wireless stacks to account for this, something Miller said no one else had done. The theory became a reality earlier this year after Ubiquitilink launched their prototype satellites. 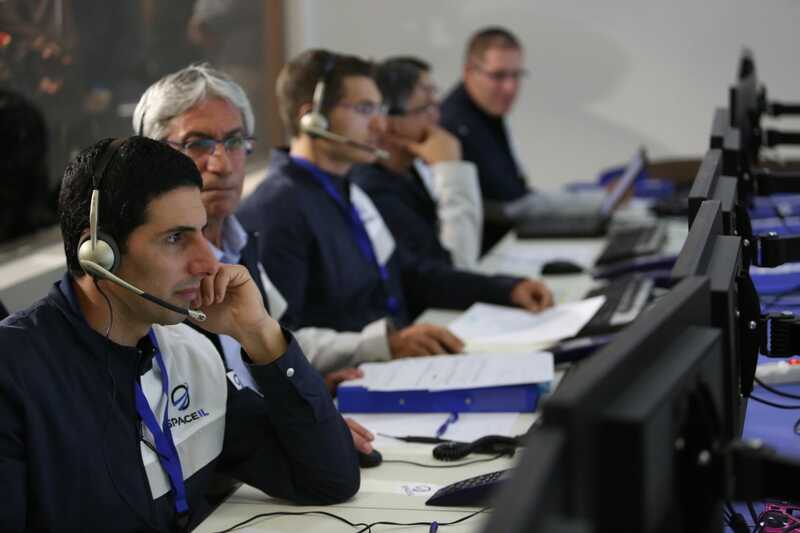 They successfully made a two-way 2G connection between an ordinary ground device and the satellite, proving that the signal not only gets there and back, but that its Doppler and delay distortions can be rectified on the fly. Normally, if you’re a subscriber of network X, and you’re visiting a country where X has no coverage, X will have an agreement with network Y, which connects you for a fee. There are hundreds of these deals in play at any given time, and Ubiquitilink would just be one more — except its coverage will eventually be global. Maybe you can’t reach X or Y; you’ll always be able to reach U. The speeds and services available will depend on what mobile networks want. Not everyone wants or needs the same thing, of course, and a 3G fallback might be practical where an LTE connection is less so. But the common denominator will be data enough to send and receive text at the least. It’s worth noting also that this connection will be in some crucial ways indistinguishable from other connections: it won’t affect encryption, for instance. This will of course necessitate at least a thousand satellites, by Miller’s count. But in the meantime, limited service will also be available in the form of timed passes — you’ll have no signal for 55 minutes, then signal for five, during which you can send and receive what may be a critical text or location. This is envisioned as a specialty service at first, then as more satellites join the constellation, that window expands until it’s 24/7 and across the whole face of the planet, and it becomes a normal consumer good. While your network provider will probably charge you the usual arm and leg for global roaming on demand (it’s their prerogative), there are some services Ubiquitilink will provide for free; the value of a global communication system is not lost on Miller. An emergency broadcast system when networks are down is also being planned — power outages following disasters are times when people are likely to panic or be struck by a follow-up disaster like a tsunami or flooding, and reliable communications at those times could save thousands and vastly improve recovery efforts. “We don’t want to make money off saving people’s lives, that’s just a benefit of implementing this system, and the way it should be,” Miller said. It’s a whole lot of promises, but the team and the tech seem capable of backing them up. Initial testing is complete and birds are in the air — now it’s a matter of launching the next thousand or so. Opportunity’s mission is complete, and the rover that was supposed to last 90 days closes the book on 15 years of exploration. It’s sad, but it’s also a great time to look back on the mission and see some of its greatest hits. Here are 25 images showing where it came from, where it went, and what it discovered on its marathon-length journey.